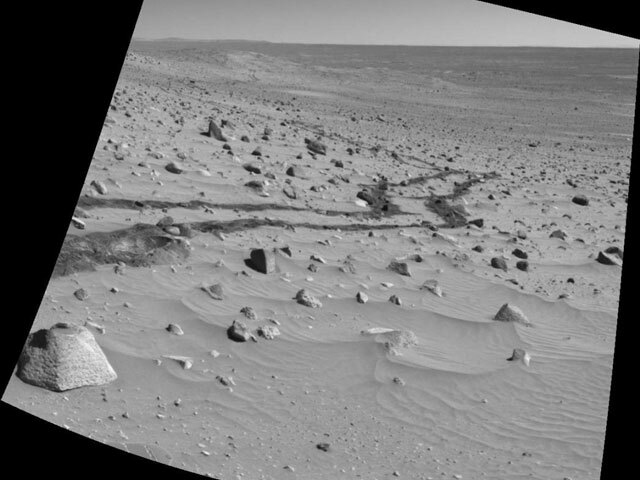 Explanation: Pictured above, the path of the robot rover Spirit on Mars can be traced far into the distance. 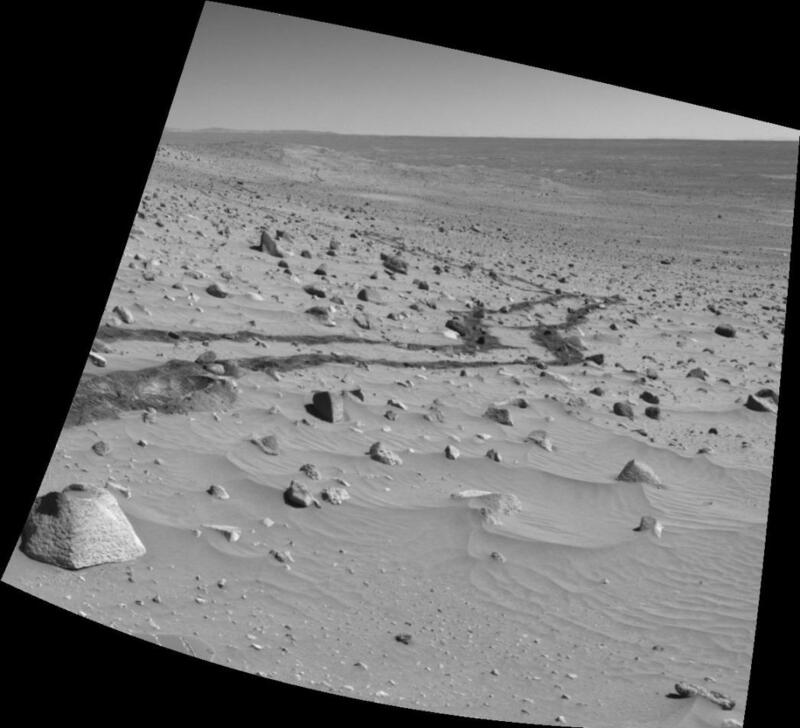 Spirit has now crossed kilometres of plains covered with rocks and sand, approached the lip of a crater 200-metres across, and climbed a series of hills. Spirit's path has been not only one of adventure but discovery. Landing inside vast Gusev crater near the beginning of this year, Spirit, along with its sister robot Opportunity across the planet, has uncovered key evidence for ancient Martian water. The recent discovery of goethite, a mineral only known to form on Earth in the presence of water, bolsters the case. Spirit and Opportunity continue to roam the red planet in search of different and more detailed clues to the unfolding ancient past of Mars.